Every dining table is not just used for dining; rather it plays a multi functional role which makes it one of the most frequented places of your home. Right from morning breakfast, meals, snacks and occasional drinks to homework time, family meetings, parties, get-togethers and many such events, a dining table set actively part takes in every activity. So, it becomes very crucial to have a dining set that just reflects your personal taste, your lifestyle and your love as well as passion towards your home. There are number of dining room sets available these days that are sure to match with all your needs and requirements, making your dining room the most happening and enjoyable rooms of your house. When you decide you buy a dining table and chairs, firstly what needs to be considered is the total number of members in the family, in order to opt for the appropriate size and shape of table, along with the suitable number of chairs. If you are a 5 people family and are search for some of the excellent dining furniture that will enrich the prettiness and magnificence of your place, then you are at the just right place. 5 piece dining table set, this is what you are looking for? Need not worry; you will get to see many types, kinds and patterns of dining table sets with 5 chairs. What you need to do is be aware of all your style, décor, budget and other requirements, in order to make an apt selection. Once you are aware of all these things, you can interestingly go and explore the varieties that are within your range and will make a great addition to your place. 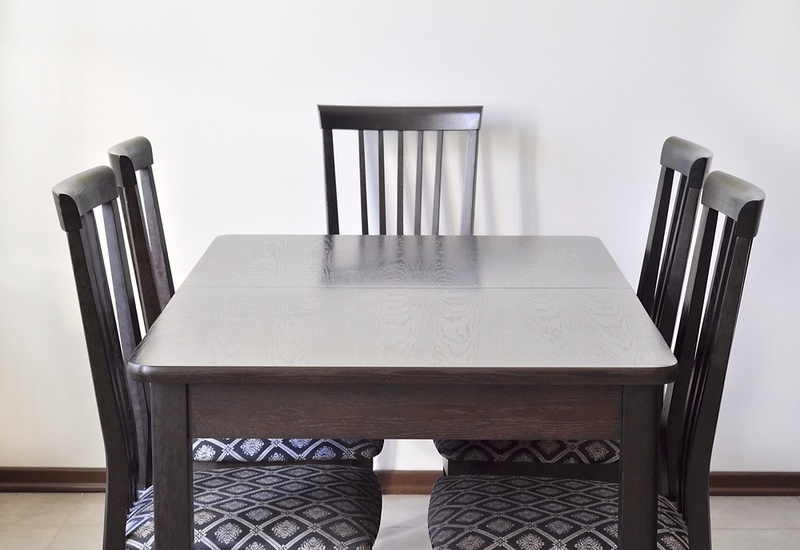 When you decide to have a 5 seater dining table set for your place, make sure you look whether you have enough place available in your dining room, living room or kitchen. If yes, then go further and think about the material, style, design, finish, color, shape, size and pattern that you wish to incorporate in your dining area. What you purchase, make sure it satisfies your purchase and serves the purpose for which it is being purchased. Take your own time in planning for the things that will best fit in your place, budget and style. When finalizing on a 5 piece dining table set, ensure that the one you choose accomplishes your need in every factor right from the material of the table to the finish. While purchasing the material, be a little more careful from picking the suitable one amongst wood, metal, glass, stone, chrome, marble and steel. The material you choose for your 5 piece dining table set will greatly affect the overall setting of your home. Think twice over everything and make a wise decision of the one that fulfills all your dining needs, regarding a dining table set.